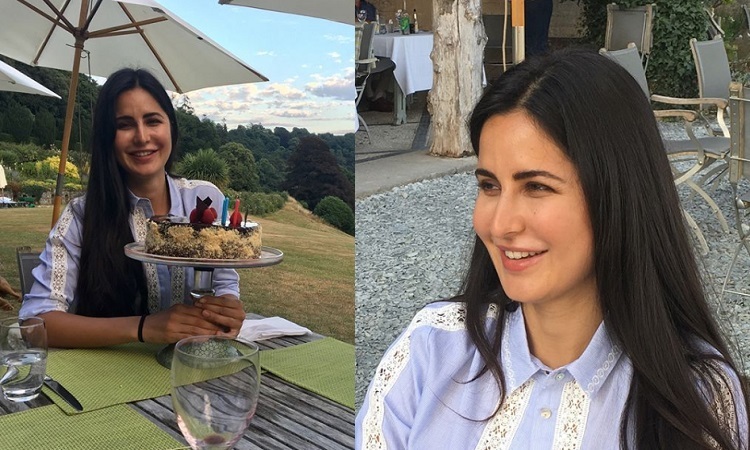 PHOTO: Katrina Kaif strikes a POSE with her Delicious Birthday Cake! Katrina Kaif, who is one of the renowned Bollywood celebrity and an ace dancer that we have, celebrates her 35th birthday today. Kaif is currently ringing in her birthday at a countryside in England with her family and looks utmost happy with this vacation. A new still from her intimate birthday celebration has been surfaced on the internet, where Kat looks gorgeous with her smile and that delicious cake. Her mother Susanna, took to her Instagram account to share the pictures of her beautiful daughter. She posted, "Happy birthday dear Katrina. May you receive all the love and kindness that you give to others." The birthday girl Katrina Kaif herself also treated her fans with a birthday post. Kat posted along with the picture, "My 21 st birthday today ... ok fine ...plus a few more years "
This mini vacation appears to be an amazing one for Katrina as she was busy with Da Bangg Tour and post returning to India, she will have to head back to her professional commitments. About her birthday celebrations, Kaif confirmed to Mumbai Mirror, "Yes, I'm with family for my birthday and will return to Mumbai on Tuesday. I am in the countryside with my sisters; it is all about having fun, chilling and relaxing". A source added to the report, "Katrina flew to London last Friday and spent the weekend catching up with her mom and siblings. They visited their favorite haunts, including a vintage castle and she even went boating with her sisters on Sunday". Kat yesterday posted, "Out to sea "
On the work front, Katrina will have two big releases by the year-end. 'Thugs of Hindostan' opposite Aamir Khan is slated to release on the eve of Diwali i.e. 7th November 2018. She also has 'Zero' opposite Shah Rukh Khan and Anushka Sharma releasing on 21st December 2018.